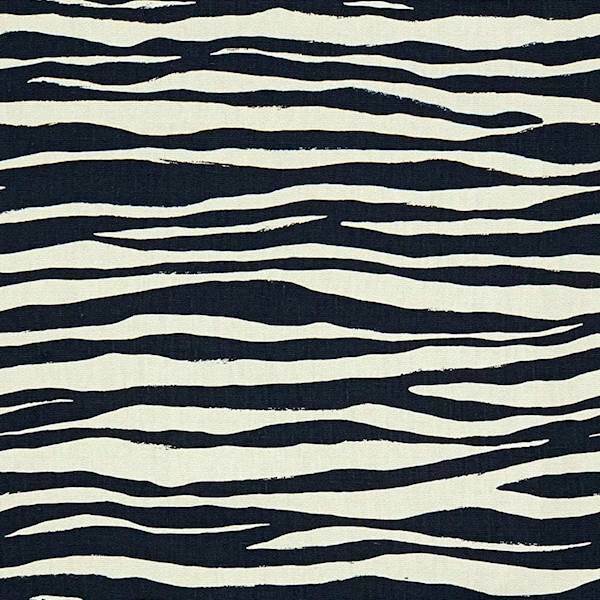 Mona Zebra features a stylized zebra stripe design in shades of very dark blue and off-white. The stripes are railroaded (meaning they run across the width of the fabric from selvedge to selvedge, not up and down the roll). 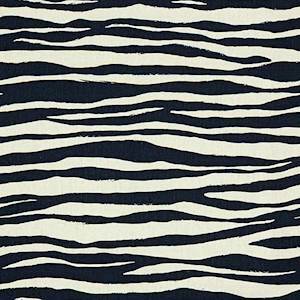 This fabric is suitable for many home decor applications including drapery, pillows, bedding, lightweight upholstery and more. 100% linen. (145,RKN).